Moves by the disputed President of the Democratic Republic of Congo Joseph Kabila to grant oil and logging licences in the world’s second largest rainforest have thrown efforts to protect the area into disarray, potentially weakening the push to avert the worst consequences of climate change. Congo’s environment ministry reestablished three industrial logging concessions in the Congo Basin rainforest to Chinese-owned companies in February and set a process in motion to hand out 14 more. Later the government signed oil prospecting concessions in two World Heritage Sites, Salonga and Virunga national parks. The news has cast doubt on the future of the Central African Forest Initiative (CAFI), a multi-million dollar development and conservation project, established by the Norwegian government with international support in 2015. Funding for the project has been suspended for months. With one CAFI member of staff telling Unearthed the organisation was “very concerned” to hear about the new concessions. The Congo Basin rainforest stretches across six countries, from west to central Africa. At over 500 million acres, more than three times the size of France, the rainforest is home to eight World Heritage Sites and an array of endangered species, including mountain gorillas and forest elephants. Around 60% of the forest is located in DRC and despite having a logging moratorium in place since 2002, the country lost an area of forest ten times the size of Greater London between 2010 and 2014. Data submitted by the organisation Redd+ to the United Nations Framework Convention on Climate Change shows that the DRC portion of the Congo Basin rainforest lost 1.6 million hectares in that four year period, the most recent available, equivalent to more than 6,177 square miles. With long-delayed elections scheduled for December 23 and Kabila’s administration busy signing logging and oil licences there are fears that the country and the rainforest is entering a tense moment. The government’s decision to open up parts of two protected forests to oil exploration has also proved controversial. One of the concessions allocated to Compagnies Minières Congolaise (Comico) encroaches on the Salonga National Park. The remote nature reserve is home to bonobos and Congo peafowls. Centrale Oil and Gas, the Guernsey-based company, owned by diamond magnate Adonis Pouroulis, has a 40% stake in Comico. According to a report in The Times in May, exploration licences have been signed for a fifth of Virunga national park, an iconic World Heritage Site, home to mountain gorillas. Oil drilling is not permitted in World Heritage Sites, but according to reports from May the DRC government is looking to reclassify portions of the two protected areas to allow for drilling. British oil company Soco International previously carried out seismic testing in Virunga national park, but let its license lapse in 2015. A company spokesman told Unearthed that the company “no longer has any oil and gas interests in the DRC”. 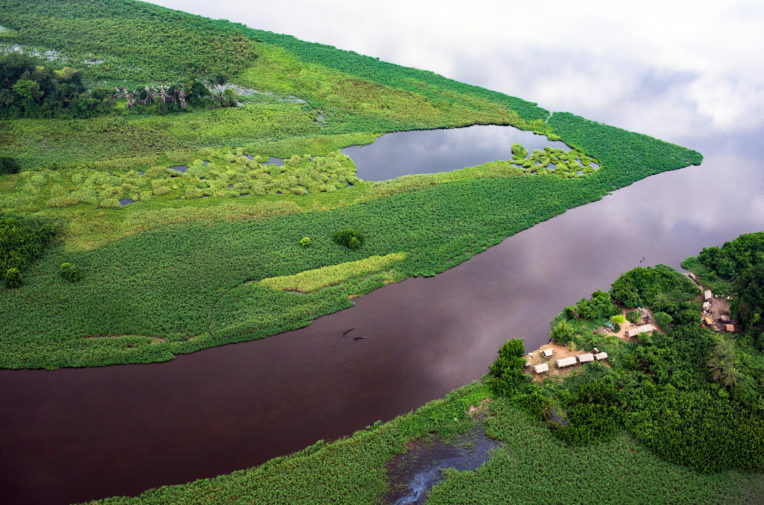 Just last year, scientists discovered a massive area of carbon-rich soil, or peatlands, in the Cuvette Centrale region of DRC, adding urgency to global efforts to preserve the rainforest. The peatlands cover an area larger than England and could contain the equivalent of three years worth of global carbon emissions. Two of the three logging concessions awarded in February overlap the peatlands and there is concern that any industrial logging in the area could cause huge volumes of greenhouse gases to be released into the atmosphere. Professor Simon Lewis, who was part of the team that discovered the peatlands, told Unearthed that allowing logging in this part of Congo would be “irresponsible”. DRC’s environment ministry has insisted that the peatlands would not be harmed as they are in an area that is geographically unexploitable”. Ben Shepherd, Chatham House fellow on the Africa programme, suggested that there is a risk of Kabila’s government using DRC’s vast natural resources to build a “war chest” to fight elections. It is unclear whether President Kabila will run in December’s election. Doing so would require a constitutional change. But reports that he is considering taking part in the election have added to political unrest in the country. In March, the bodies of two UN investigators and 40 decapitated policemen were found in the central province of Kasai, a stronghold of opponents to President Kabila. The violence was part of a new conflict in the region that has reportedly seen over a million people displaced. The revelations have severely affected an international effort to protect the Congo Basin. Berta Pesti, from the UN Development Programme, who works as a senior technical advisor on the UK government backed CAFI project told Unearthed that no one thought working in DRC “was going to be an easy ride”. She said that CAFI was “very concerned” to hear about the new concessions. A logging moratorium, established in order to prevent a rush for resources at the end of the conflict in DRC, has been in place since 2002. But there have been numerous attempts by the government to grant logging concessions and reports of timber leaving the country illegally. 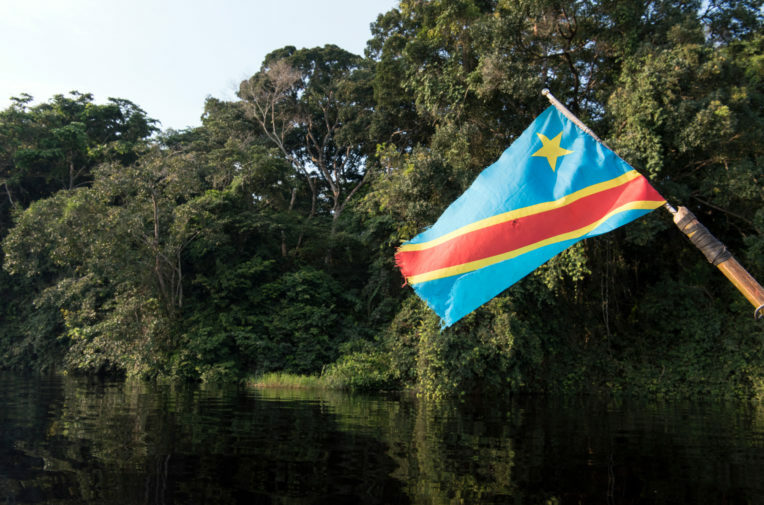 Responding to this report, Norway’s environment minister Ola Elvestuen told Unearthed that the government took the concerns it raised “very seriously”, but added that not engaging in DRC was “not an alternative”. [Full responses here]. Asked what leverage CAFI had to force the DRC government’s hand, Pesti said that the body could look to withhold funding, but admitted that the ‘letter of intent’, signed by all parties at the start of the agreement is not a legal document. “The letter of intent is not a real contract. No tribunal is going to enforce it. But it’s an agreement. It’s a moral agreement and there are people in the DRC government who take that agreement seriously,” she said. She insisted that despite recent disappointment, no one working on CAFI is demotivated. This Unearthed story was also covered by Mongabay.